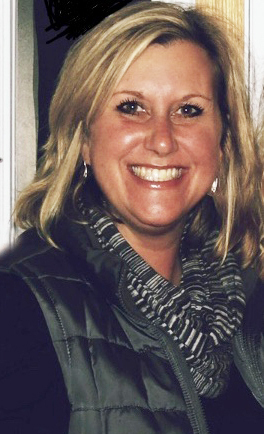 Renee Menz, 48, passed away peacefully surrounded by family, on February 3, 2019. She was born on August 11, 1970 to Dale and Lynn Henricks. Renee grew up in Story City, IA and graduated in 1988. After she graduated, she attended Mankato State in Minnesota and received her Bachelors of Science in Education in 1992, then went on to receive her Masters of Science in Education from Iowa State in 1997. Renee spent the majority of her work life being a school counselor. She had such a big heart and took pride in helping whoever she could. The biggest and most important part of her life though, was her two children, Kaitlyn and Braden. They were her everything and it showed every day. She was always very involved and attended everything she could. She willingly took long road trips, followed by many hours sitting in the bleachers, cheering for Braden playing basketball or Kaitlyn playing softball. She got to spend so much time with them and wouldn’t have wanted it any other way. Family was a big part of her life and we will miss her dearly. She is preceded in death by her maternal grandparents, Raymond and Gertrude Faust; and paternal grandparents, William and Miriam Henricks. Renee is survived by her children, Kaitlyn and Braden Menz; former husband and good friend, Jeff Menz; parents, Dale and Lynn Henricks; sister, Sonja Ranck (Scott); two nieces, Kylie Newsom and Emily Klages (Tyler); two great-nephews, Brody and Emmitt Klages; four legged friend, Kirby; along with many other extended family and friends, especially including Brian Menz, Sue Menz, Kristi and Sean Detweiler, and their children, Carson and Alexa Detweiler. A visitation will be held from 11 AM-1 PM, service 1 PM, on Saturday, February 9, at Lutheran Church of Hope Waukee, 305 NE Dartmoor Dr., Waukee, IA 50263, followed by a reception from 2:30-5:30 PM, at Noah’s Event Venue, 1805 90th Street, West Des Moines, IA 50266. In lieu of flowers, memorial contributions may be made to the YESS Shelter, 918 SE 11th St, Des Moines, IA 50309.